The ECB SuperUtes series has received an unfavourable first reaction from fans at the Adelaide 500. It comes after the series’ first competitive outing, with a practice session before a qualifying session yesterday afternoon. After the new category broke cover in Adelaide, Speedcafe.com canvassed opinion from a sample of the 44,000 crowd which attended Thursday’s action. “I’m a bit disappointed with the grid size,” said Chris from Melbourne. “I used to enjoy the V8 Utes series, so hopefully these new SuperUtes live up to what the V8 Utes were like. Greg, from country Queensland, is impressed with the amount of manufacturer involvement in the series and suggests the racing will be the deciding factor for him. “The amount of manufacturer involvement is actually quite amazing, but at this stage its too early to decide whether I really like them or dislike them,” he confessed. Michelle however sits on the other side of the fence, and is far from impressed by the series’ transition. “To be honest, after watching them out on track for the first time I’m not actually blown away,” the Adelaide local said. Max, who is also from Adelaide, holds a different outlook and believes once the ‘new car’ issues have been resolved the series will flourish. “The new Utes are great, I really, really like them,” he said. 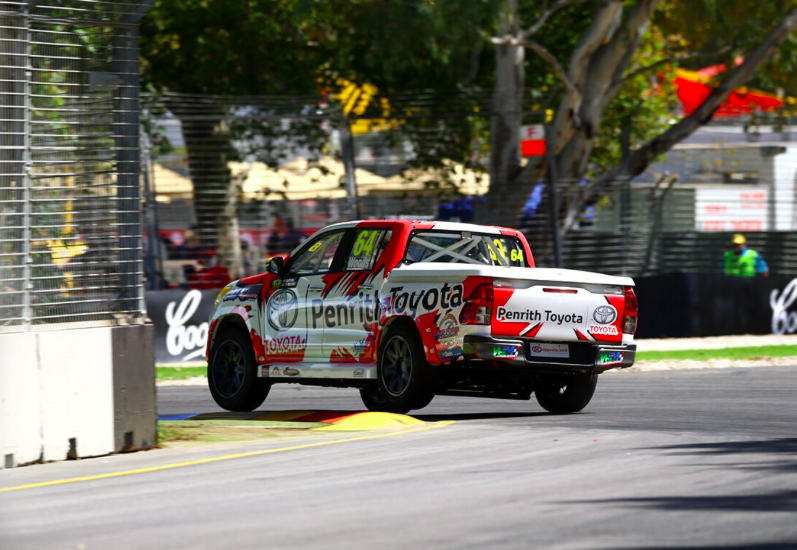 The SuperUtes will be back out on track on Friday for the first race of the series at 1355 (1425 AEDT).